Team PR Reilly is warning the trade to be on the look out for fake Valeo clutch kits that have surfaced on the market. 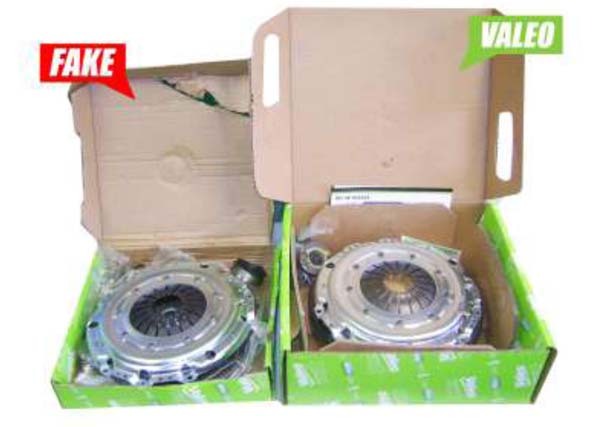 The Valeo clutch kit distributor, is advising all workshops that fake Volkswagen V835035 Golf clutch kits have appeared on the market. Team PR Reilly says that the kits, on first examination may look like the genuine article, but the tell tale signs are obvious on closer inspection. The wrong springs are fitted to the centre plate and the fake also features an incorrectly machined, non Valeo fly wheel. Valeo original clutch kits also feature a stamp.